Unfurling tree fern leaves (Cyathea sp.) - 'Koru pattern'. 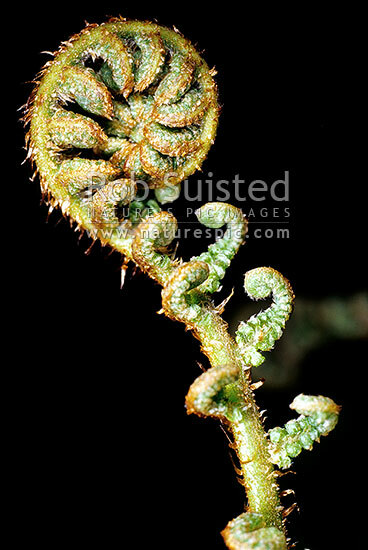 Signifying new life, New Zealand (NZ), stock photo.